Although the organization was named after one of the founder's dogs, it is an appropriate name as Saga is a seemingly endless story of a community's tireless dedication to its animals. In March of 1999, Dr. Bronwen Eastwood, a Veterinary Surgeon, got together with six other members of the island community (Walker Marchal, Sari Frank, Eileen Jamison, Ruben Gonzalez, Ramon Nunez, and Lane Llewelyn) to form The Saga Society (also known as The Saga Humane Society or just “Saga”). On June 16th of that year, it was officially registered as a non-profit, non-governmental organization under the Laws of Belize, possibly the first of its kind in Central America, as a means to address stray animal challenges. The group formed Saga in response to pet and stray conditions at that time. Parvovirus, distemper and mange, among other contagious diseases, were rampant. Ambergris Caye was an island on which the dog and cat populations were almost entirely un-neutered, in poor health, and free to breed without stopping. This, in turn, led to the island being overrun with strays, something which was not lost on the tourists who came to visit our lovely home, and which adversely affected the lives of residents as well. 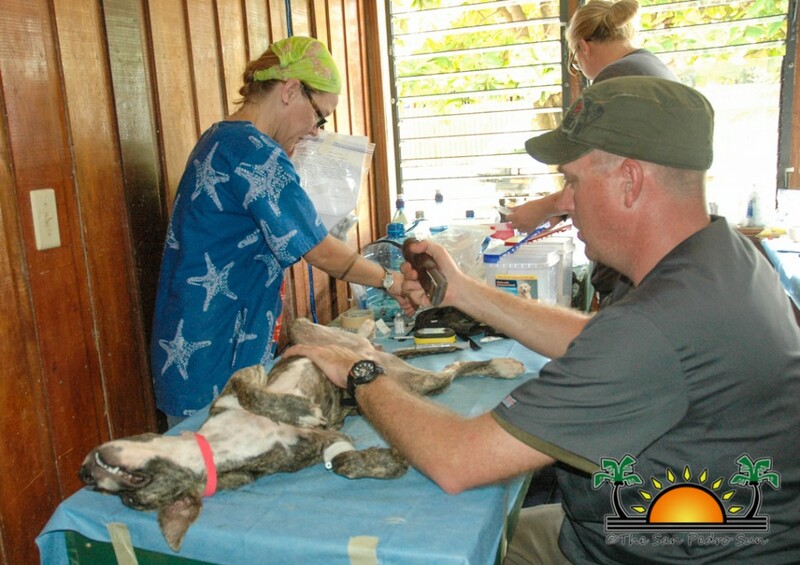 There was no animal shelter and no veterinary clinic; the only treatment available in the country was on the mainland. Complaints would be answered by Belize’s Ministry of Health with regular mass poisoning, using strychnine - a very inhumane, slow, agonizing painful death - but the only stray management practice at the time. The long term goal of Saga Humane Society is: to prevent cruelty and promote kindness to all animals. To accomplish this, the plan was to provide humane euthanasia alternatives, education, an animal shelter, to provide adoptions, a subsidized spay and neuter program, and convenient, affordable vet care for families on limited incomes. Despite the refusal of our government to give Dr. Eastwood her full general veterinary license, Saga managed to start treating, sterilizing and taking care of the stray animal population. Dr. Eastwood also began to teach the first humane education classes in our local primary schools. When Dr. Eastwood returned to England in 2001, the very talented Dr. Sheila Schmeling from Corozal generously agreed to be the clinic vet once a week until Saga could find a permanent vet. The Humane Society survived this way, in no small part due to the daily work of Ms. Ingrid Lima, the Clinic's Manager and Vet Technician, (Saga's "angel sent from God," and the tireless work of Director Katia "Kathy" Marin). Many other people need to be thanked for their support as well but someone would undoubtedly be left out. So, to alleviate hurt feelings, they know who they are - they are Saga's heroes. There have been a few full-time foreign veterinarians over the years, but none have endured and Saga currently utilizes the part-time services of Belizean born veterinarian Dr. Orlando Baptist. Saga wants to extend a special thanks to Dr. Baptist for his support in regularly making the trip to assist Saga all the way from Belmopan. While it took a few years to get the dog shelter built, land was finally purchased and the "Fort Dog" project was completed near the Airstrip with great assistance by Saga friend, Mr. Bill Wilkinson. Saga's future goals include building a permanent veterinary clinic at this site to alleviate the financial burdens of renting space for this facility. Saga's Educational Program has recently resumed in San Pedro's primary schools (ACES, Island Academy, ABC Pre-School), and will continue this year at RC School so that the next generation on this island has the opportunity to learn early on what it means to be a responsible pet owner – to have your pet spayed or neutered, to keep your pet from wandering and causing a nuisance to the community - key elements to Saga accomplishing its tasks. Saga Humane Society continues to make strides in this community. It has accomplished somewhat unimaginable feats in the last fifteen years. The following is a list of just a few. So, ultimately, Saga has touched, and hopefully benefited, the lives of thousands and thousands of animals here in San Pedro. Unfortunately, in addition to all the positive numbers listed above, Saga has also had more than 5,000 animals surrendered to its shelter over the years. This means they have also had to pick up and euthanize many, many stray animals as well, to avoid the possibility of a mass poisoning instead. Although this euthanasia is done without pain and suffering to the animal, it is still a loss which is completely unnecessary. The island community can effect change by preventing the issue in the first place, by spaying and neutering as many animals as possible so that the unwanted puppies and kittens do not end up on the streets and eventually at Saga's door. This is why Saga, with the pioneering efforts of past President Coleen Creeden, with the tireless efforts of Heather Beck, Kathy Marin and Ingrid Lima, introduced SNIP – the Spay Neuter Initiative Program – a program designed to sterilize as many animals on the Island as possible over the next 3-5 years by providing these surgeries for FREE. With enough animals unable to reproduce, the problem will resolve itself eventually – no unwanted births equals no surplus of animals equals no needless suffering of animals - the only statistically proven way to make a difference. 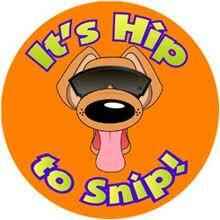 Since starting SNIP, Saga's spay and neuter figures have doubled over the last two years, with over 1,000 of the total of 4,468 procedures being done in just that time. - reducing overpopulation through SNIP, targeting 1,000 animals minimum every year until the desired goal of no overpopulation is reached – this is an island, we can do it! - working with local government to encourage enforcement of owner responsibility and animal welfare laws. Saga has also recently re-established a relationship with the San Pedro Police Department in response to the numerous reports made concerning vicious dogs in our community. Saga offers thanks to Officer Jemmott for supporting us in these important efforts so that owners of dangerous dogs as well as neglectful or abusive owners are held responsible. Many thanks to Mayor Danny Guerrero too, who is now working closely with Saga to change how the island addresses and deals with stray animal issues, and for reminding residents to take responsibility for their pets. A big shout as well goes to Ms. Heather Beck, who has been a champion for Saga, fundraising and pushing to get Saga Humane Society, as well as Ambergris Caye, on the international map. Also much love and appreciation to the ones who feed, water, clean up after, walk, medicate and love the animals in our shelter - Noemi Castro and Ernie Longsworth. Saga could not exist, and would not have made it these 15 years without its great and loyal supporters, its many volunteers, dog walkers, local business owners and residents who come out to help with their time, money, culinary creations and other generous donations. Saga is here for you, and there is no Saga without you. Please contact www.sagahumanesociety.org [email protected] today for information on how you can help. Saga is also a registered tax-exempt 501C3 in the United States. 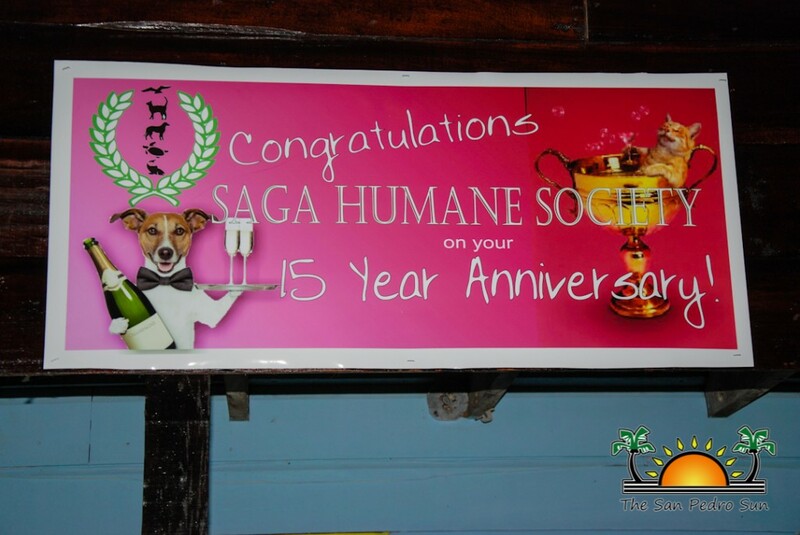 Long Live Saga Humane Society!! !